Councilman Peter Vallone wants to ban flouride from city's drinking water. New York may be putting too much fluoride in its drinking water, a new federal review has found - and one councilman hopes that will prompt the city to stop using it altogether. New York puts 1 milligram of fluoride into every liter of water to prevent tooth decay, but the U.S. Department of Health and Human Services now wants the maximum set 30% lower. And now the Environmental Protection Agency is reviewing what the safe level of fluoride should be. "It's very alarming that it's taken the government this long to recognize these dangers," said Queens Councilman Peter Vallone, who will soon introduce a bill to ban fluoride from city water. Scientists long believed fluoridated water helped drastically reduce American dental problems, but new research shows too much fluoride can weaken teeth and bones. "This is the first real government acknowledgment of the problems," Vallone said. "I want it out. We're way behind the curve on this." The Health Department said it will review the new research, but did not go along with Vallone's call - saying it will "ensure that New Yorkers receive an optimal amount of fluoride through drinking water." The New York-New Jersey Trail Conference recently announced the publication of Harriman Trails: A Guide and History. Now in its 3rd edition, the book is available at most local bookstores including the Park Visitor Center located between exits 16 and 17 on the Palisades Interstate Parkway. Authors Bill Myles and Dan Chazin have spent years hiking the trails of Harriman/Bear Mountain and researching these park's rich history. This guidebook includes comprehensive trail descriptions and tables of mileages for 46 marked trails and many unmarked trails in the parks. It also contains fascinating historical tidbits and detailed information on the many lakes, roads and mines within the park. In addition, included in the book are historical photographs from the Palisades Interstate Park Commission's Iona Island Archives that depict the early years of the park. It is an essential companion for anyone who wishes to explore the intricate trail network in these parks-the most popular destination for hikers in the New York metropolitan area. 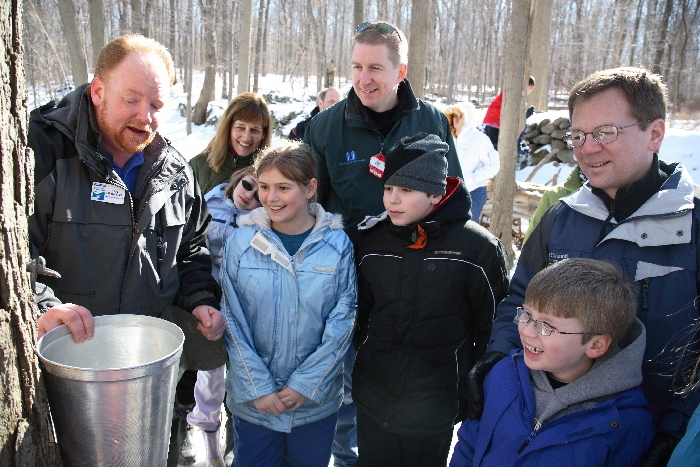 Photo by George Potanovic, Jr.
Special Maple Sugar Tours for all Scouts! Your troop or den will receive a special tour of our "sugar bush"
guided by an Environmental Educator. Reserved tours will run every half-hour from 10am-3pm and each tour lasts about one hour. Tours can accomodate up to 24 people which includes scouts and adults. Dress appropriately for the weather: warm snow boots, coat, hat and gloves. A non-refundable, deposit of $50, for these popular tours, will hold your reservation. EagleFest Headquarters and all theaters will be located in heated tents at Westchester County’s Croton Point Park. Free parking and shuttle buses from outlying lots, including a shuttle bus from Metro North’s Croton-Harmon Train Station. Ticket holders for all shows should allow at least 30 minutes for parking and shuttle rides. – going to the EagleFest! Admission to EagleFest Headquarters is free, but a donation of $3 per person is suggested. Learn about eagles and other birds of prey with live birds presented in a 30-minute show! 10:00am Bill Streeter "Close Encounters with Wintering Eagles and Owls"
11:00 Bill Streeter "Close Encounters with Wintering Eagles and Owls"
12:00 Bill Streeter "Close Encounters with Wintering Eagles and Owls"
1:00pm Hope Douglas "Eagles and More"
2:00 Hope Douglas "Eagles and More"
3:00 James Eyring – "Flight of the Raptors"
Travel in comfort to three River Sites with an educator to view wild bald eagles! Be sure to arrive 30 minutes early and plan on a two-hour tour. Join experts at EagleFest Headquarters for a guided bird walk around Croton Point. Times to be announced. Individuals and families can visit at no charge three eagle-spotting sites along the Hudson River: (1) Croton-Harmon train station boat ramp (sponsored by Saw Mill River Audubon Society); (2) George’s Island Park in Montrose; and (3) Riverfront Green in Peekskill (sponsored by the City of Peekskill). Each site will be staffed by eagle experts with spotting scopes, warming tents and free hot chocolate. In addition to these three free sites, the Trailside Museums and Zoo at Bear Mountain State Park will offer free entry (normally $8 parking), if you first visit their table in the Collaborator’s Pavilion at Croton Point Park, the EagleFest Headquarters. See our EagleFest Video on YouTube – click here. Learn more about New York’s Bald Eagles – click here. The NJ Section of the Palisades Interstate Park, spanning twelve miles along the Hudson River Palisades in northeastern Bergen County, will sponsor guided "history hikes" this winter giving participants a chance to explore some of the park's 30 miles of hiking trails—along with the rich historical associations of the Palisades, a National Historic Landmark. On Sunday, January 9th, historic interpreter Eric Nelsen will start the series off with an exploration of extensive foundation remains that mark a stretch of cliff top in Alpine once known as "Millionaires' Row," so named for the dozen or so estates—with their stately manor homes and ornate gardens and grounds—that once graced this lonely precipice more than four hundred feet above the Hudson. The tour will meet at 10 AM at the Park's Headquarters in Alpine (PIP Exit 2), itself a former manor house, and will cover about 3 miles round-trip distance over easy-to-moderate trails in about 2 hours. Nelsen, who noted that the lack of foliage in winter makes it an ideal time to explore this section of the cliffs, will bring photographs of the estates as they appeared in their original splendor. FREE and open to all with no advanced registration required. Further information can be obtained by calling 201 768-1360 ext. 108. Can't make it to the hike but still want to learn some history concerning the "Millionaire Row" homes? On Wednesday, January 12th at 7:30 PM, there will be an illustrated talk entitled "Life on the Edge: Millionaires’ Row on the Palisades” with Eric Nelsen at Fort Lee Historic Park (PIP Exit 2). Like the hike, this program is FREE and open to all with no registration necessary. Long Story Short, former "Saturday Night Live" cast member Colin Quinn's one-man comedy about the decline of the world's great empires, has extended its limited engagement on Broadway. The production, which officially opened Nov. 9 at the Helen Hayes Theatre, had originally been scheduled to run through Jan. 8, 2011. Performances will now continue through Feb. 5. Golden Globe Award-winning comedian Jerry Seinfeld directs the 75-minute comedy, which arrived on Broadway Oct. 22 after an extended run Off-Broadway earlier this summer. According to producers, "Comically channeling the demise of great world empires, Colin Quinn uses his 'articulate brand of comedy' in taking audiences through an uproarious history of the world in 75 minutes. From his personification of Caesar as the original Italian mobster to his complaints about Ancient Greece and Antigone giving way to Costco and Snooki, Quinn is at his satirical best, taking on the attitudes, appetites and bad habits that toppled the world’s most powerful nations. Colin Quinn Long Story Shortproves that throughout human history, the joke has always been on us." Quinn began as a writer on "SNL" in 1995 and was a featured player on the late-night show through 1998, when he became a full-time cast member. He departed "SNL" in 2000. He made his Broadway debut with Colin Quinn: An Irish Wake in 1998. The production has scenic and projection designs by David Gallo, lighting design by Howell Binkley and sound design by Christopher "Kit" Bond. Hal Brooks serves as creative consultant. Producers are Eva Price, Richard Martini, Bruston Kade Manuel & Will Dombrowski, Richard Winkler, George Shapiro, Matthew Salloway, Jack Thomas, Bisno/Frankel/Fireman, Dan Frishwasser, Avram Freedberg & Mary Beth Dale and Allen Spivak. Long Story Short is presented Monday, Wednesday-Friday at 8 PM, Tuesday at 7 PM, and Saturdays at 2 PM, 5 PM and 8 PM. For tickets phone (212) 239-6200 or visit Telecharge. The Helen Hayes Theatre is located at 240 West 44th Street. Last seen on our Concert Hall stage in 2009, Pilobolus SOLD OUT weeks before the show – be sure you don't miss this exciting company in 2011! Get a jump-start on your weekend and see the best of independent and foreign films before they become box-office hits! "A compelling performer whose work involves standard repertory, new music, raga, and jazz, emphasizes thoughtful engagement over flamboyant display." Fast, furious fun for everyone! Competition winner Hugo Souza performs Concerto for Oboe and Orchestra by Bohuslav Martinu. Monthly discounts for e-mail subscribers only. 10% off the ticket price to see Vadim Gluzman perform a riveting performance with Orpheus Chamber Orchestra. 914-251-6200 to redeem; mention discount code 853. *Offer available by phone only; subject to availability. In partnership with Tarrytown Music Hall, The Center is proud to announce that BUDDY GUY will perform on our Concert Hall stage on Friday, April 1 at 8pm. Tickets are now on sale. Call 914-251-6200 or go towww.artscenter.org to reserve your seats today! SHOW YOUR SUPPORT FOR THE ARTS! As many of you are aware, arts funding in Westchester County is in serious jeopardy. Our County Legislators need to hear how important the arts are to you! Please take a minute to click on the link below and enter your zip code to send a message to the County Executive and your representative to remind them that the arts matter to you. This month's newsletter has been generously sponsored by Westchester Magazine. Paramount Gift Cards are Now Available! The 2011 "Best of Westchester" Awards are now accepting votes. January issue of Westchester Magazine! This Broadway revival with new music and an extended script. The cast consists of professional adults from Westchester, NYC, and Long Island in the principal roles and our Westchester youth as the orphans. What makes this production very special is that it is intergenerational with grandparents and parents playing along side their children. The story takes place in 1933. with an Eleven-year-old Annie has been living in an orphanage her whole life run by cruel Miss Hannigan. After unsuccessful escape attempts, Grace Farrell comes to take the child home to live two weeks with billionaire Oliver Warbucks during Christmas. The plucky orphan worms her way into the hearts of the staff and Mr. Warbucks and even the president of the United States! The Devil Music Ensemble explores all facets of music from rock to electronic, orchestral to folk, and improvisational to incidental, performing both composed and improvised scores to silent films. Big Stakes is one of a series of Western's directed by Clifford S. Elfelt (he is best known for directing 50,000 Dollar Reward in 1924 starring Ken Maynard in his first lead role.) In Big Stakes, J.B. Warner stars as a Texas gentleman who falls for a Mexican girl and tries to win her from a dashing rival the Mexican General. The Paramount Center for the Arts Music & Film Series is sponsored in part by the Academy of Motion Pictures, Arts and Sciences and Prudential River Towns Realty. The Carolina Chocolate Drops are the newest and youngest players in a long lineage of Black String Bands, performing their style of traditional roots music, the blues and more! Rolling Stone Magazine described the Carolina Chocolate Drops' style as "dirt-floor-dance electricity". The tradition they honor traces its roots to musicians from Africa who came to the Americas in the holds of slave ships. The CCD's have toured with Taj Mahal, appeared on Prairie Home Companion, and appeared in Denzel Washington's The Great Debaters. Step Afrika is the first professional company in the world dedicated to the tradition of stepping. Stepping is a unique dance tradition created by African American college students. In stepping, the body is used as an instrument to create intricate rhythms and sounds through a combination of footsteps, claps and spoken word. Founded in December 1994, the company is critically-acclaimed for its efforts to promote an understanding of and appreciation for stepping and the dance tradition's use as an educational tool for young people worldwide. Five time Grammy Award Winning guitarist Robert Cray tours in support of his new album, "This Time". As ever with Robert Cray's undefinable sound, the music on "This Time" remains stubbornly beyond category. He has been internationally admired as a stylist whose innovations have brought new life to the blues. of "Whose Line is it Anyway"
Colin Mochrie and Brad Sherwood, stars of the Emmy nominated Whose Line Is It Anyway? have teamed up to present an evening of extraordinary improvisational comedy. Using their quick wit, Colin and Brad take contributions from the audience to create hilarious and original scenes - just like a live version of 'Whose Line'! Throughout the evening, the show becomes truly interactive as audience members are called to the stage to participate in the fun. The Colin and Brad Show has played to sold-out venues all over the country. The year 2010 marks the 40th Anniversary of perennial classic-rock favorite, America. Founding members, Gerry Beckley and Dewey Bunnell (along with former band mate Dan Peek) met in high school in London in the late 1960s and quickly harmonized their way to the top of the charts on the strength of their signature song "A Horse With No Name". America became a global household name and paved the way with an impressive string of hits following the success of their first #1 single. Forty years later, these friends are still making music together, touring the world and thrilling audiences with their timeless sound. Brady Rymer's, down home, foot stomping Little Band that Could's rollicking, roots-y tunes resonate through American culture, bringing an honest, joyful spirit to music for all generations; "his music has a rock 'n' roll heart," wrote The New York Times. Brady's newest CD, "Here Comes Brady Rymer and the Little Band That Could," marks his debut recording with the band he's brought on the road since 2005. Combining a feel-good R&B foundation with traditional acoustic arrangements and a scoop of sunny 70's optimism, they've created a modern American roots sound for families everywhere. 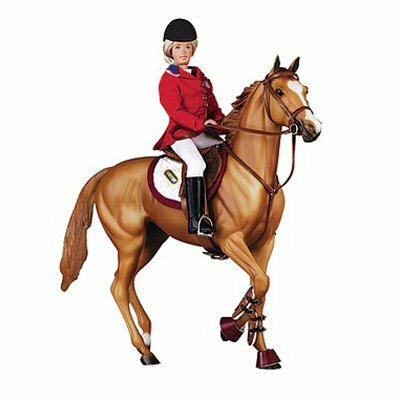 Special Offer: After clicking ''Proceed to Checkout'', enter code MSG (and click ''Apply'') to receive your 33% discount off the door price. With the MSG discount, you will enjoy this special event for just $8.00. Also, patrons using code MSG when purchasing tickets prior to January 6 are automatically entered into a random drawing to win 2 VIP tickets to the PBR at MSG on January 7 or 9. Toughest Sport on Earth!™ returns to Madison Square Garden this January and New Yorkers will once again be treated to unique sights and sounds --- 700 tons of dirt... the top 40 bull riders... and the rankest 2,000 pound bulls in the world! Don't miss New York's toughest event of the year - the 2011 PBR Madison Square Garden Invitational. This is not a rodeo... this is the one and only PBR!